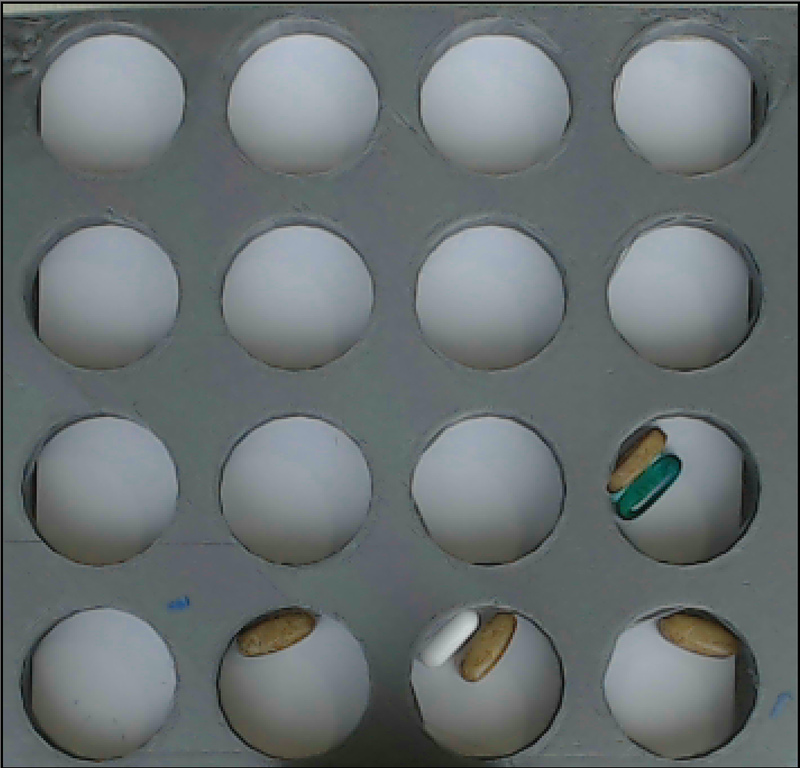 What is needed to do is count how many pills (there can be of different colors, sizes and shapes) in each circle. 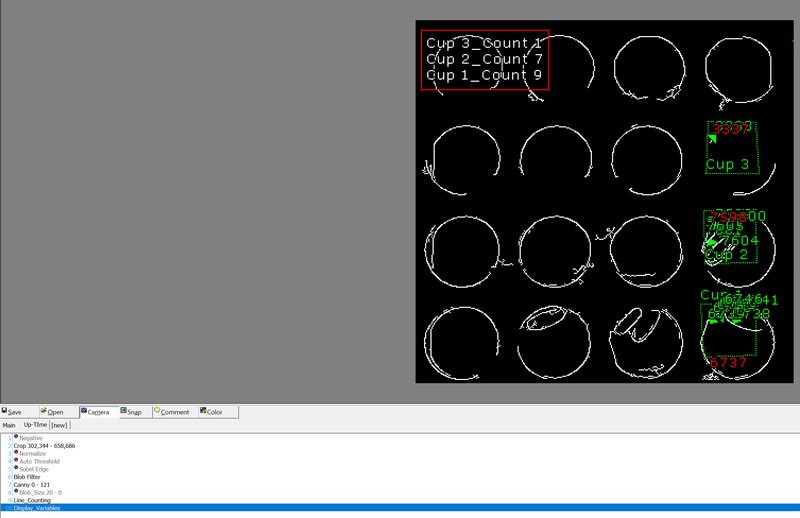 We have used the Line_Counting but it is not consistent and it is very hard to detect the gel type pill. This isn't something that we can just answer as there are a lot of details to this process. You would be better off finding someone that is familiar with this type of project and all the camera, lighting and background details that are needed to make this process reliable. From your images, it looks like you are just starting this project so it would be a good time to hire an imaging expert for several months to help with this project. The one tip we can provide is to use a black background as you are unlikely to have a black pill which will make the lighter colored ones easier to detect. Then you have light, camera, vibration, integration, etc. etc. to think about. Good luck!